The Twin in Berlin: I Love Taking Little Moments To Realize That I Am A Missionary In Germany! I Love Taking Little Moments To Realize That I Am A Missionary In Germany! OH HEY we are in 2015!!! I seriously feel like 2008 or 2010 even were just last year. BUT IT'S 2015!!!! I turn 20 this year!!!! I will be in Germany THE WHOLE YEAR!!!!!! JAWOOOOHHHL. So this week was cool with bringing in the New Year, but actually pretty rough with our missionsarbeit. I SAW TRAINER NORTON. aw yeah. When we first saw each other here in Innenstadt, we had one of those running toward each other moments and then embracing. sooooo fun and sooooo lovely! The last time I saw her was when she left braunschweig to Berlin at the end of my first and her last transfer. She was not just a missionary, but also my COMP; MY FIRST TRAINER. Oh man reuniting was so sweet. It was weird seeing her not in a skirt and ohne namenschild! I LOVE HER. Her family was realllly aweseome, they took us out to lunch on Tuesday, then we saw them again New years eve at a members house. Hollaaa!! Such a cool tender mercy that I am serving here where she also served. Tis fate I tell you.... star crossed companions or something. Hey Sister Norton when you read this and laugh!! Sister Murdock is such an up front and honest person. I love it. We both have the same mind set and goals as missionaries. Her German is coming along! I really hope we stay together next transfer. Being a senior comp is interesting. Going from being a little Golden and relying upon someone else to all of a sudden being the one with more experience and whose German skills we rely on has been fun and eye opening. So yes I do lead momma. I love it!! I love helping my dear comp as well. But through small and simple things great things really do come to pass. I know it. We finally got to meet with one girl this week after a while, I had never met her before, and her mom was there too! That was a bit of a miracle, at how open and interested she was. haha, we were just talking in English, and then when I said the first vision auf deutsch they both were like whoa you are undercover with your German. hahahaha that was funny. Found this other kid the other day when we were klingeling his door and he came up behind us. He is really busy going to berufschule but hopefully he will call us this week. Outside of that nobody is constant enough to talk about! But we are working on it. Tomorrow actually we are meeting with this dude we met a few weeks ago who was really interested. I'm stoked!!! mal sehen!! Two goals I have so far for the year: read the BOM auf deutsch two times. Memorize a scripture every week. Other goals are still in progress. I wish I played the piano better, that is a lacking area in the ward!! But being able to sing well is really helpful haha! Thanks for your happy and encouraging emails!!!! I love all the stories and quotes you send!!! I love you so much and can't wait (but actually I can) to be home and hug you and just be together again!! Sometimes I get a little homesick for a few moments, but like you say, I totally feel Father in Heaven watching out for and blessing me and my family as well. I am always at peace, although I am away! I love taking little moments to realize that I am a missionary in Germany! What a blessing and sacred trust this calling is! I love the Gospel, and I love being a member of the Lord's church. 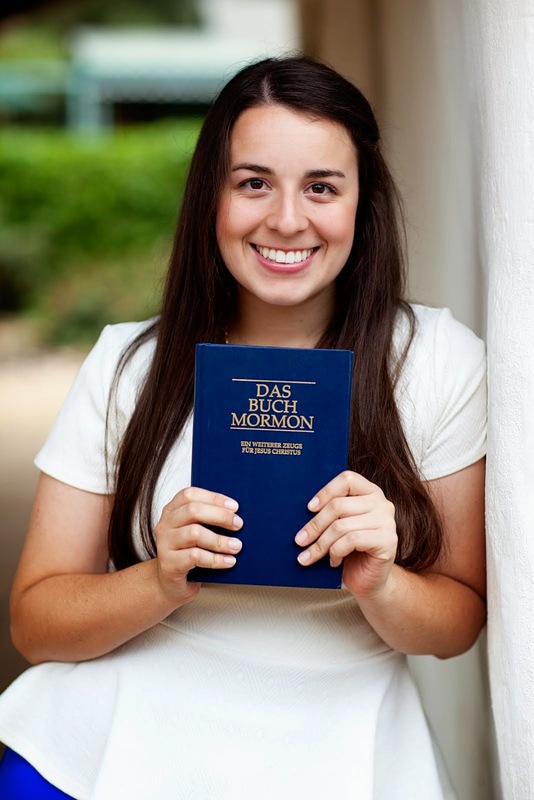 I know the Book of Mormon is true, and I love reading therein. The plan of salvation is so real! We are living through it right now!!! Let's do it right! !